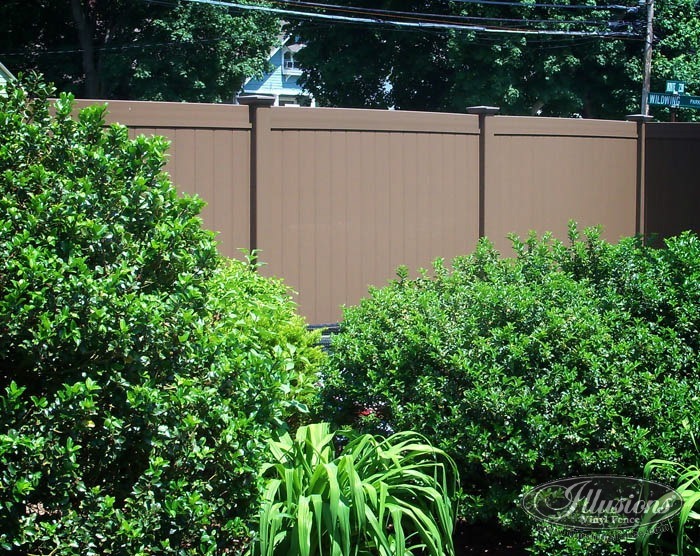 This beautiful installation of the V300 series Tongue & Groove PVC Privacy Fence in Grand Illusions Color Spectrum Brown (L106) really adds character to the yard. It includes the V300-6, V-300-5 and V300-4 panels that work as a transition from 6′ privacy fence to 4′ fence towards the front of the property where it meets up with V350-4TR Contemporary Picket fence to show a view into the backyard. The VDG350-54TR Contemporary Picket Gate with braces really completes the look! With Grand Illusions Color Spectrum, Vinyl Woodbond, and dozens of different features to pick from, creating a unique look for your vinyl fence is easy! 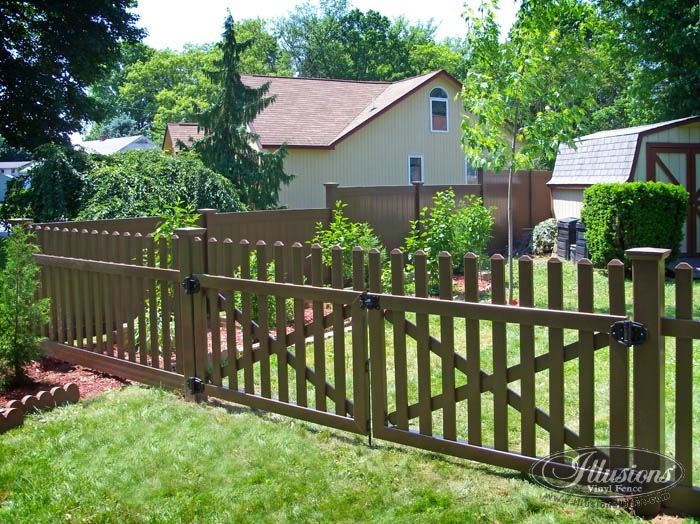 brown vinyl pvc fence by illusions vinyl fence. the best color vinyl fencing at the best price.